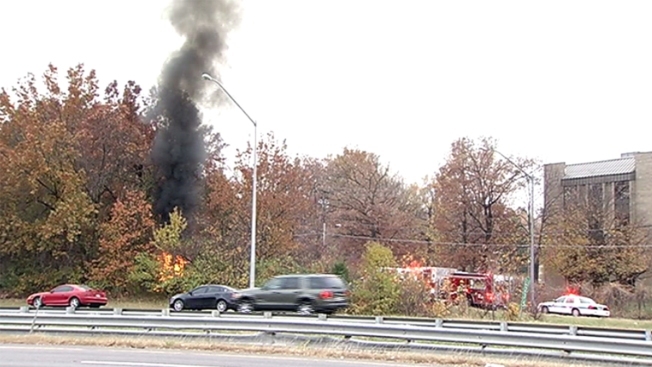 A car crashed and burst into flames on the Inner Loop of the Capital Beltway early Thanksgiving, injuring the driver. The car was on the ramp from the Inner Loop to Kenilworth Avenue when it left the roadway and crashed into a wooded area, where it caught fire. Maryland State Police and Prince George's County Fire and Rescue were called the ramp shortly before 8 a.m. The driver was out of the car when first responders arrived. The driver was taken to a hospital. The fire was put out quickly. Maryland State Police are investigating the crash.